Ulta is running a mega summer sale; up to 60% off right now. There are three new beauty gift with purchase offers at Neiman Marcus, Credo and Skinstore. Happy Canada Day – see awesome Sephora Canada offers and more below! Ulta (NEW)(HOT) runs a massive Ulta Beauty Summer Sale 2018 up to 60% off, see Skincare sale, Makeup Sale, $15 and under sale, $35 and under sale. (NEW) Ulta Beauty Collection Makeup & Brushes – Buy 2 Get 1 Free (including all Ulta kits that are 60% off). (NEW) Free shipping with any $35 purchase (normally $49), ends 7/4. (NEW) Use code 610219 to get $5 off $15 qualified purchase (excludes prestige beauty). (3d) Receive a free Clinique Deluxe Moisture Surge 72 Hour Auto-Replenishing Hydrator with any purchase. Visit New Arrivals, Skincare. Visit Ulta Buy More Save More list page. Ulta Best Seller Sale Page. (NEW) Receive $3.50% off $15 purchase use coupon 690964 (exclude prestige brands) – printable version coupon here, ends 7/21. SkinStore (NEW) Spend $100 to receive 6 Holiday treats no code needed + 40% off Independence Day Sale. Use code SUN25 to get 25% off Sunday Riley. Use code SKIN20, SKIN25 or SKIN30 to get 20% – 30% off select items. Enjoy 25% off enter code: IMBACK. See all official coupon codes here. See all official gift with purchase here. See limited time offer list here. 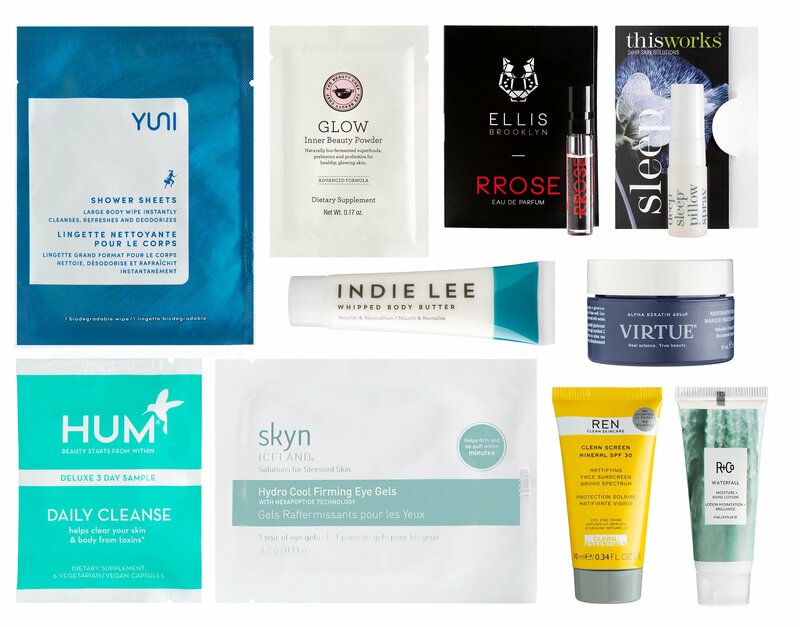 Credo Beauty (NEW) Enjoy $100 worth of product with every $125+ purchase until July 4th use code: SUMMERBEAUTY at checkout, ends 7/4. Neiman Marcus (NEW) Receive a free 6 deluxe sample gift with any $50 purchase use code HEATWAVE. (1d) Save up to 70% off reg-price in Women’s and Men’s Apparel, Shoes, Handbags, Jewelry, Accessories, Children’s, Gifts & Home Offer valid thru 7/15. Choose 5 free beauty samples with any $50 purchase at checkout.They have a nice Cle de Peau Beaute sample at checkout. Cult Beauty (NEW) Free worldwide shipping on any Dr Dennis Gross purchase. Peter Thomas Roth (NEW)(HOT) The Independence Day Sale — Travel Size items only $2.50 and up! (NEW) Buy 1 Super Size Instant Mineral SPF 45 ($49) and Get 1 Free. Free Shipping and free samples on orders over $50. TRY: Use code 15OFFPTR to get 15% off your order. Sephora.ca (NEW) Use code CORAL to get a free deluxe size Tom Ford lipstick with any $45 purchase. (NEW) Shop Canada Day Exclusives here. The Bay Canada (Hudson’s Bay) (NEW) Super Big Summer Sale: FREE Shipping on All Orders with NO Minimum + 45% off Select Activewear + Extra 15% off for cardholders with Promo Code EXTRA15. (1d) . With any Lancôme purchase of $50 or more, receive a free seven-piece gift set. Lancome Canada (NEW) Today only, get a free Color Design Lipstick ($30 value) in shade Sugared Maple with any purchase use code CANADADAY! (NEW) Enjoy a 6 piece gift, including a makeup pouch, with all orders over $65 or more. Gift includes: Advanced Genifique 8ML, Bi Facil 50ML, Hypnose Mascara Black, Color Design Lip in Shade 364 Oh La La, La Vie est Belle EDP 4ML and a Makeup Pouch. CODE: SPECIAL. (NEW) With any order, Lancôme.ca offers you 2 complimentary samples including our No.1 Anti-Aging Serum, Advanced Genifique. Discover them at checkout! Get 10% off and free shipping on your first order when sign up to the newsletter. Beauty Boutique Canada by Shoppers Drug Mart (NEW) Free shipping all orders. (NEW) Free 2 deluxe size gift with any order. They are offering two Beauty Boutique Fragrance Boxes with free certificate for full size. You will also choose 3 free samples at checkout. Free shipping on any $50 purchase. See current offers and GWPs here. Bite Beauty (NEW) Spend $30 And Receive A Mirror And Matte Crème Lip Crayon With Code CANADA. OR FREE BITE MIRROR & MINI AMUSE BOUCHE LIPSTICK WITH ANY $30 PURCHASE. USE CODE: FIREWORKS. Clinique.ca (NEW) Free shipping on any purchase. (NEW) Free most wanted 4pc gift with any $40 purchase use code 4TOLOVE. Tarte Cosmetics (NEW) Free shipping to Canada, no minimum purchase! (1d) They run up to 70% off sale or 20% off new collection. Choose 1 more sample at checkout.